I am completely aware that dark green and brown camouflage against the purest form of white will make you stand out like a sore thumb. 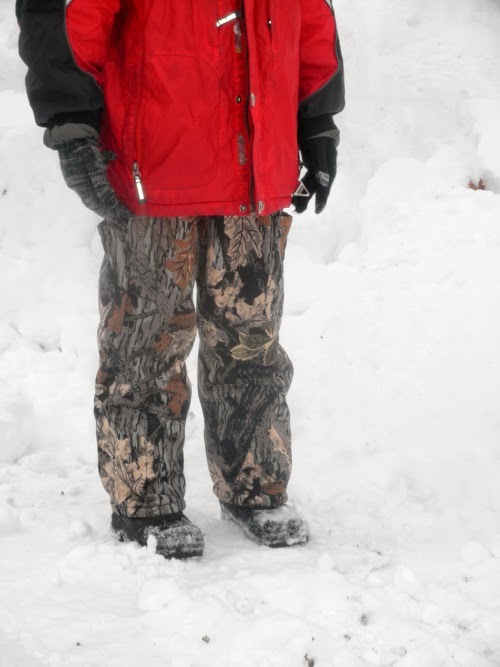 Still there is something to be said for using what you have on hand, and I happened to have camouflage fabric with the perfect amount of water resistance and a fuzzy warm lining for snow pants. 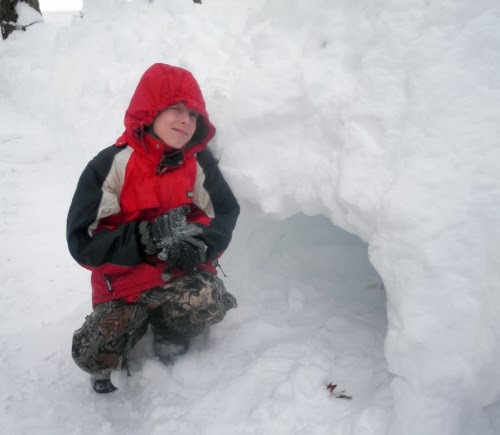 I also have an 11 year old son with no snow pants and gigantic irresistible piles of snow outside my house. It’s a good thing that 11 year old boys are incredibly weird and are drawn like a magnet to things that make no sense, like a talking sponge that drives a boat under water, and camouflage prints that don’t blend in with their intended environment. This refashion project has been nearly 10 years in the making. The pants began their life as a terribly uncomfortable pair of pajama bottoms. When I first started learning how to sew my husband asked me to make him something warm to sleep in. So off I went to the fabric store with a credit card in hand and no clue what I was looking for. I grabbed a few yards of fabric that had a smooth almost plastic feel on one side and a thick fuzzy back. He did ask for warm after all. I used a simplicity pattern and even added my own creative touch with a few pockets, because who doesn't need a few bulky pockets while their trying to sleep. He suffered a few sweaty nights in the hot, slightly lumpy pants that didn't breathe before casting them aside. They then took on that magical property that allows clothes that are never worn to make their way back to the hamper almost every time you do the laundry. Re-sizing the pants was fairly simple. I only needed to adjust the waistband, take in the crotch and inseam, and adjust the hem. Okay it sounds like a lot, but honestly it only took about an hour. 10 years of taking these clean pants out of the hamper, refolding them, and putting them back in a drawer where they did nothing but take up space, all solved in one hour. Of course had they been any other pair of pants they would have been tossed in the trash a long time ago, but hand sewn items have a sentimental hold over me that make them so much more difficult to get rid of. 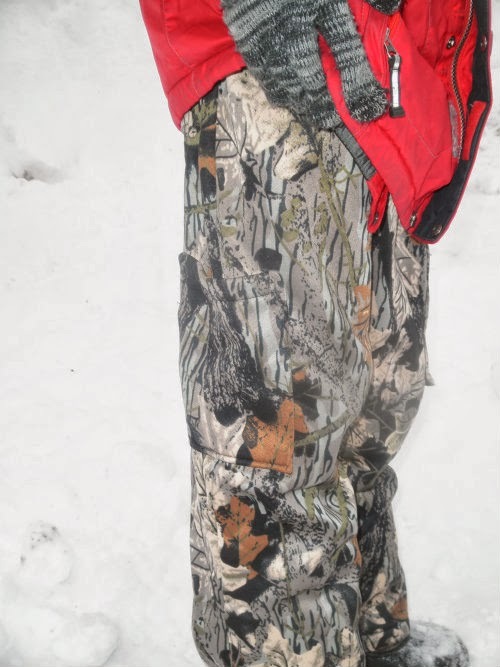 If your looking to make a pair of snow pants and you don't have a refashion project to start with, you can find a great tutorial here. I'm thinking about using it next year for the girls. 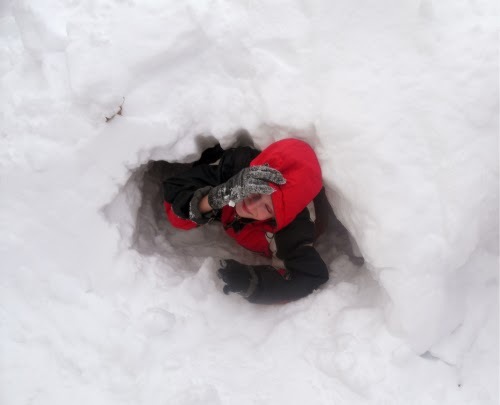 Here's to hoping we don't get anymore snow this year. What do you do with your failed sewing projects? Do you toss them out or hold on to them until you find a way to reuse the fabric? What is the longest time you have ever held onto a piece of clothing (homemade or store bought) that you never wear?